​Ghost treeless saddles are handmade in Italy, in a little workshop by the Ghost creator himself, along with the help of a small team of skilled craftspeople. The creator of Ghost saddles has been involved with the design of other popular treeless saddles, but set out to create a new generation treeless saddle that was light weight, breathable and adaptable, and that offered new concepts when it came to how treeless saddles were made. 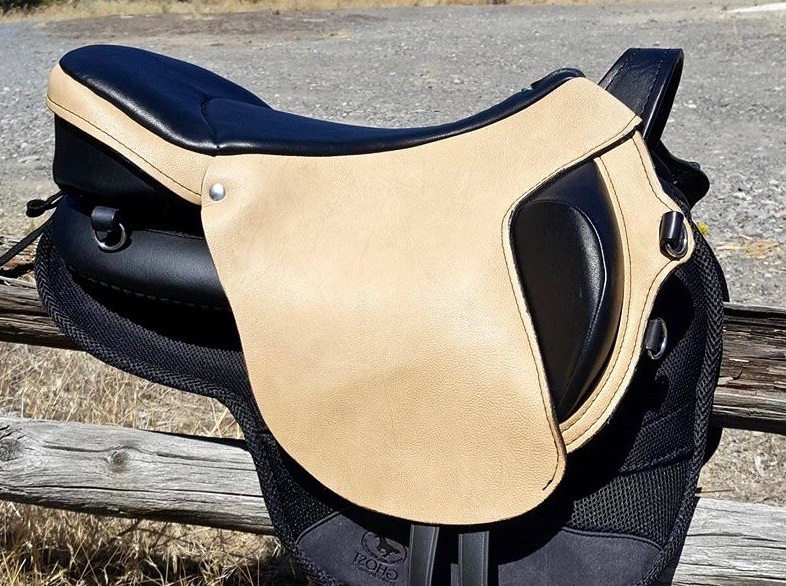 Of course he has succeeded with creating Ghost Saddles, an innovative and well priced treeless saddle, that is proving extremely versatile when it comes to saddle fitting, and that is gaining popularity world wide with horse and rider alike! 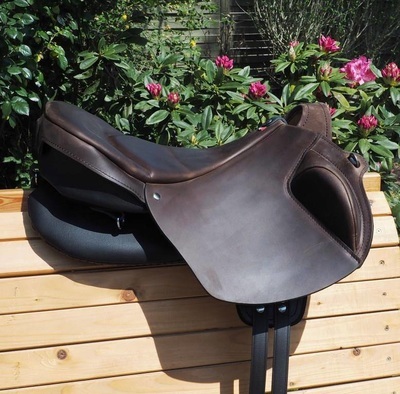 Made from environmentally friendly leathers (and non leathers for vegan saddles) the Ghost saddles have been designed to offer a saddle that will flex and adjust to the individual horse, offering comfort and protection for the horses delicate back, while also remaining supportive and safe for the rider. With no hard or restrictive parts, your horse is able to flex his back, stride out freely, and move his shoulders without pinching. 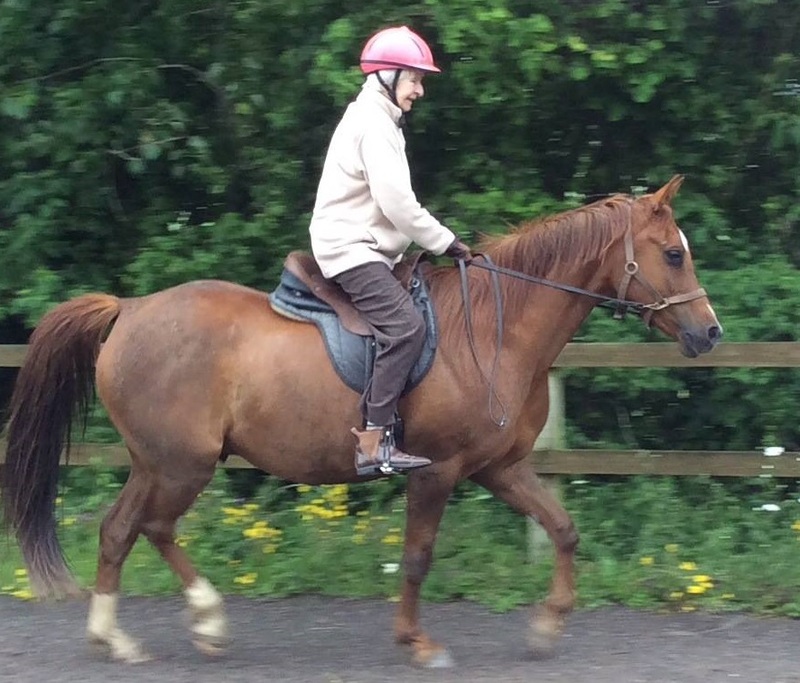 Riders are often amazed to discover how responsive and free under saddle their horse suddenly becomes! 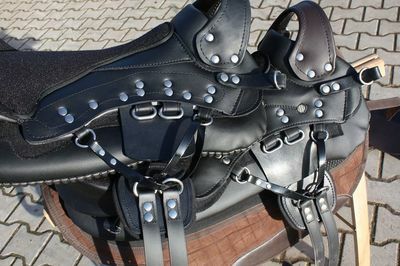 ​One thing that makes Ghost saddles unique is that they are modular in nature. 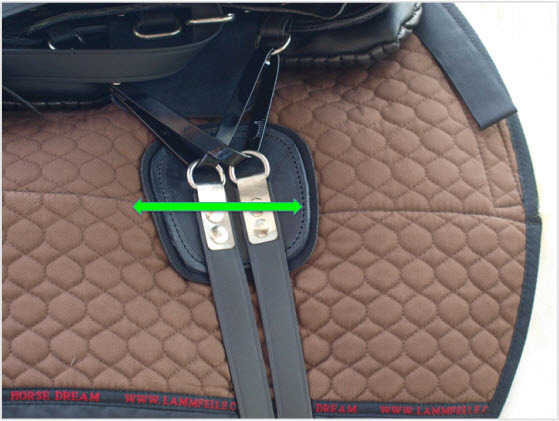 The Ghost base is flexible where needed, but semi-rigid in the right places to keep a narrow twist for the rider, distribute weight where the horse is able to carry weight, and provide a structured pommel lifted over the horse's withers. ​​The base of the Ghost saddle is made from layers of carbon fibre and kevlar (think bullet proof vests) with the stirrup bars and girthing system built into this base. There is no pressure over the spine from either stirrup bars or girthing, which is a very important feature. Ghost offer the choice of two stirrup positions, with front rings that offer a more general purpose feel, or rear rings for a classical position. 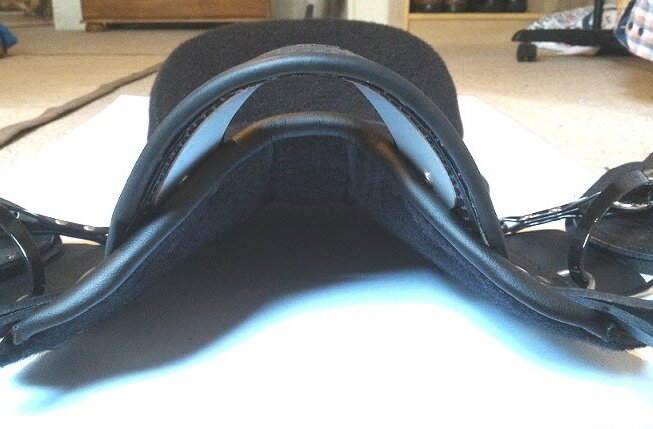 The girthing system is on a slideable V system, that due to its positionable nature, allows you to position the girth in the correct place, which is very helpful for horses with a forward girth groove. 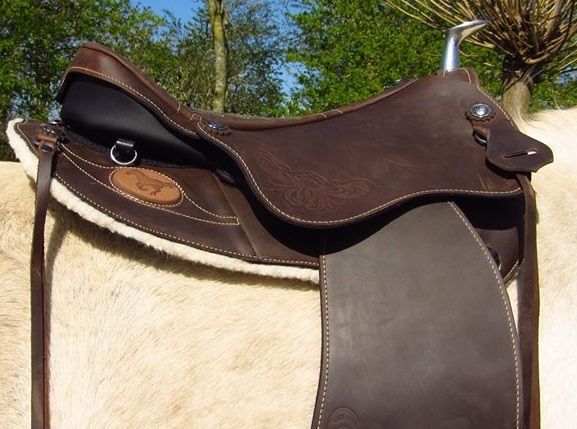 The structured pommel of the Ghost saddle is also unique, being strong yet flexible & self adjusting, and this flexes to fit even the widest equine. 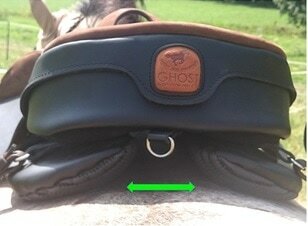 For narrow built horses, Ghost offers the option of a metal arch in the pommel area, which adds more rigid support. 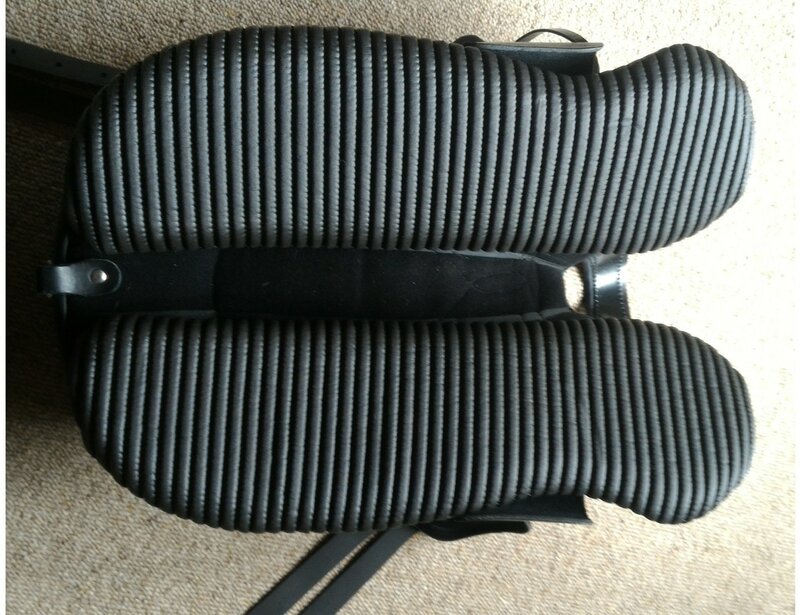 Attaching to the base of the saddle via industrial strength velcro is the sympanova lined base panels, filled with high density pressure absorbing foam. The panels are adjustable on the base, enabling one to create a custom spinal channel suited for each individual horse. 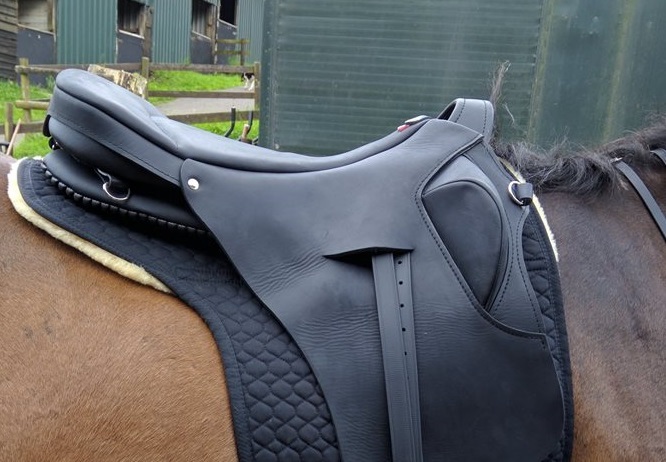 Ghost base panels provide excellent weight and pressure distribution, a clear spinal channel and also aid in the stability of the saddle. The Seat of your Ghost saddle is also a separate piece, and attaches via velcro and pull through d rings. Having a separate seat opens up the possibility of having one saddle base but with different seats for different needs. As long as the seat and base are the same size, you can quickly change your saddle seat to suit your preferences. Perhaps mother and daughter want to share the same saddle, but have different style preferences? With Ghost you can simply peel one seat off the base, and replace with another in minutes. 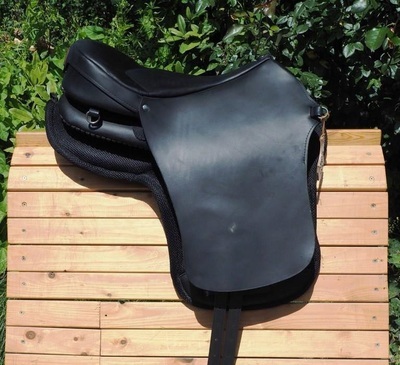 You can switch from a wooly sheepskin seat, to a classical black dressage saddle quickly and easily! 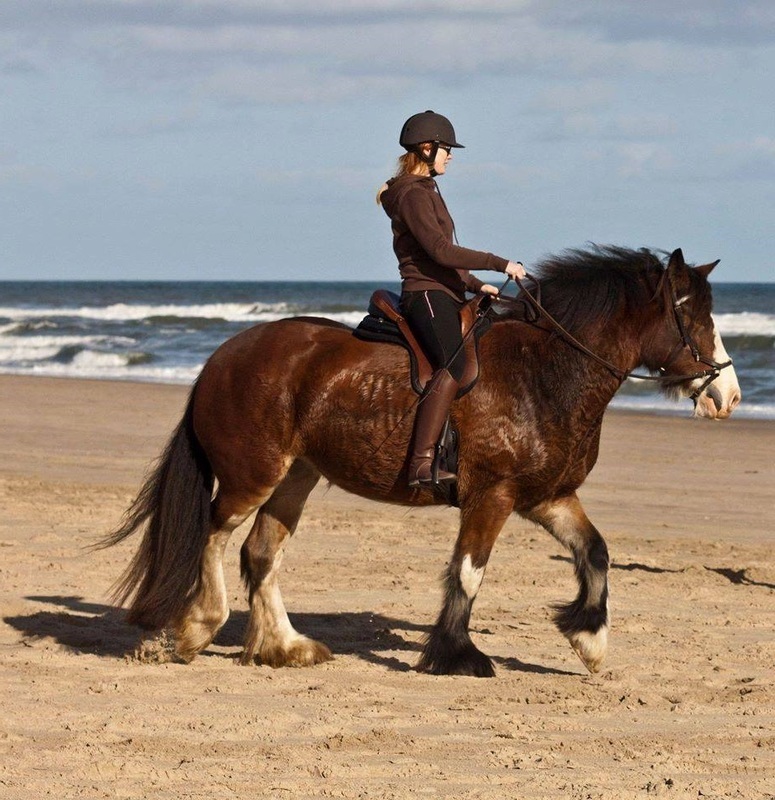 ​Riders are often amazed to discover how responsive and free under saddle their horse suddenly becomes when ridden in a Ghost. 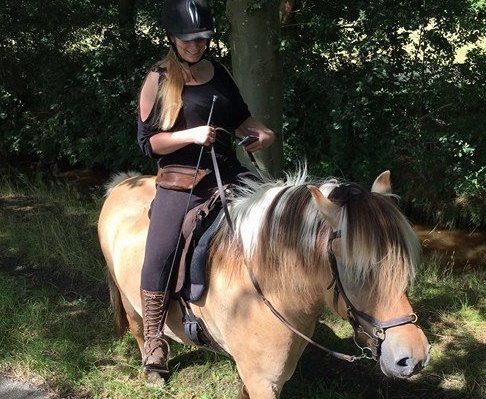 We get a lot of feedback about how happy horses are with their Ghost saddles, and the marked improvement in their performance (especially noticeable if someone tries to ride them in a normal saddle) whats tops it all off though, is that these saddles aren't just comfy for the horse, they are also supportive and comfortable for the rider! 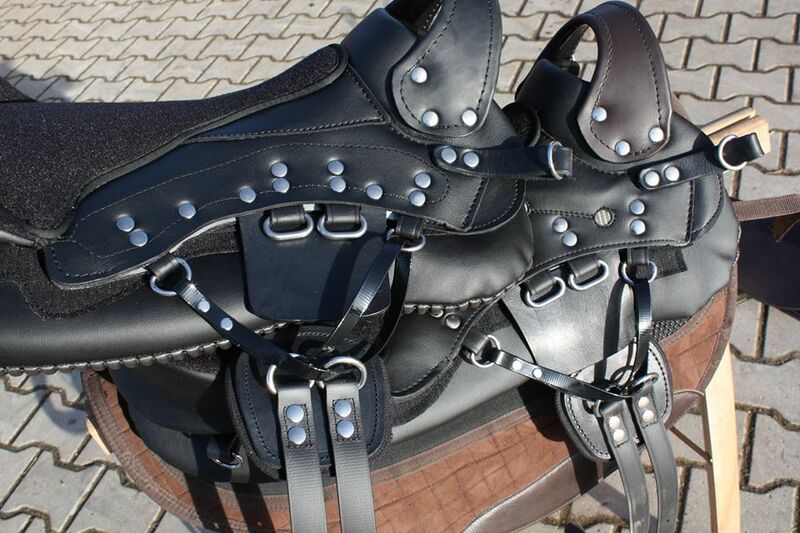 Due to the fact that Ghost saddles are individually handmade also opens up the possibilities of having a customized and personalized saddle, one where you can not only choose your colours and materials, but also take into account your personal needs, such as removing knee blocks, lowering the cantle to aid in dismounting for those with stiffness, lengthening saddle panels or shortening fenders, the simple things that make your riding more pleasurable. ​If you have specific needs, do feel free to get in touch and we can see what Ghost can do to help you! 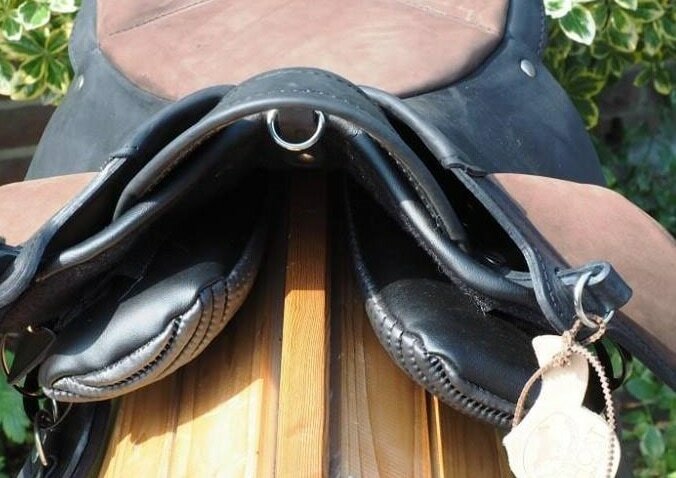 Please Note ~ While treeless saddles offer many benefits when it comes to saddle fitting & riding, please note they do have a limit in that they have a maximum rider weight of around 80kgs, and need to be used with a specialized saddle pad. Sharkfin withered horses or those with wither pockets are not considered suitable.